We spend plenty of time planning and scheming genius recipes but somehow, the best results seem to just happen on their own. The magic happens when we’ve got nothing on the agenda and a handful of this and that. 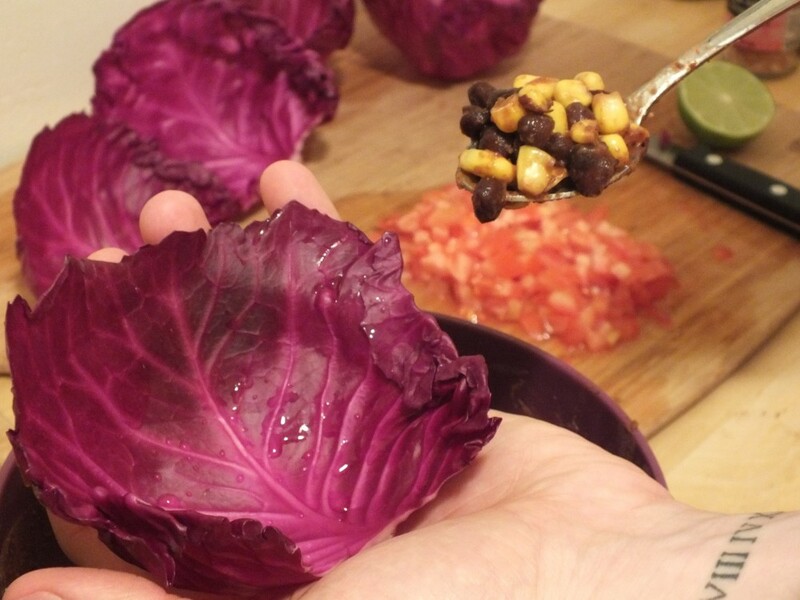 A couple of nights ago, we had red cabbage and an odd assortment of other vegetables hanging out in the fridge. Our solution? Mini tacos. 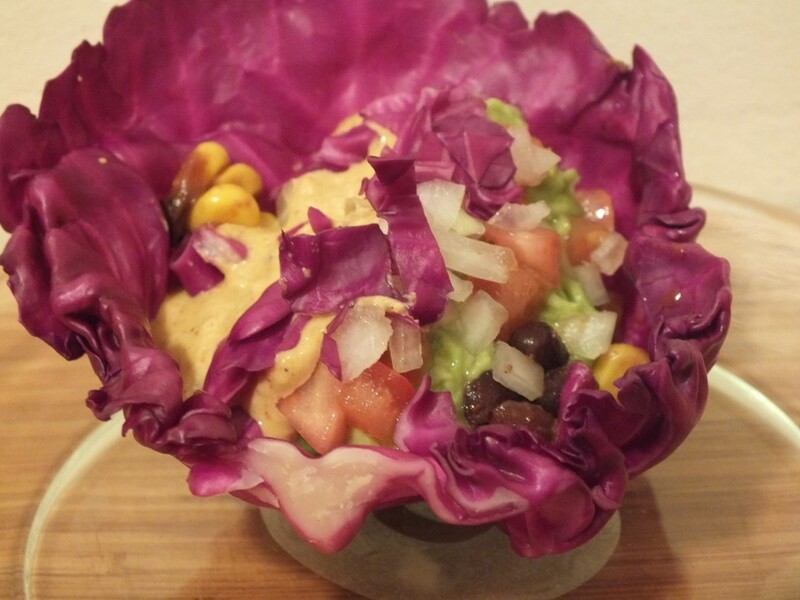 In a medium bowl, mix together black beans, corn, a tablespoon of chili powder, a teaspoon of salt, a dash of cayenne, and a squeeze of lime juice. Set aside for later. 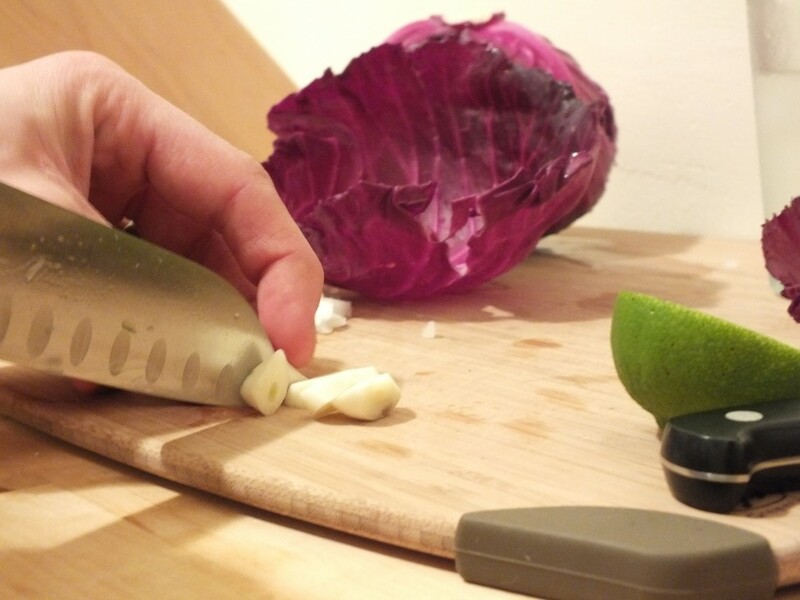 Next, prepare your veggie ingredients. Dice the tomatoes and onion and set aside. 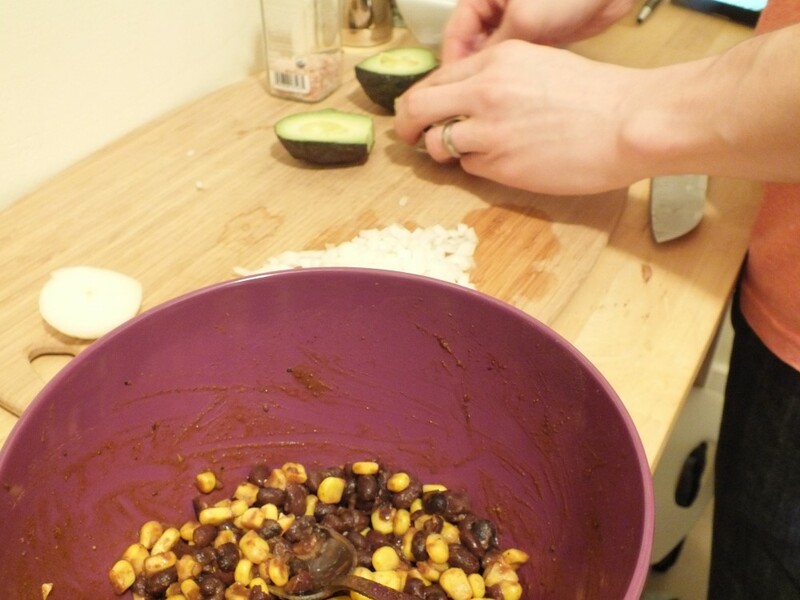 Mash the avocados in a bowl and season with a bit of salt and pepper. 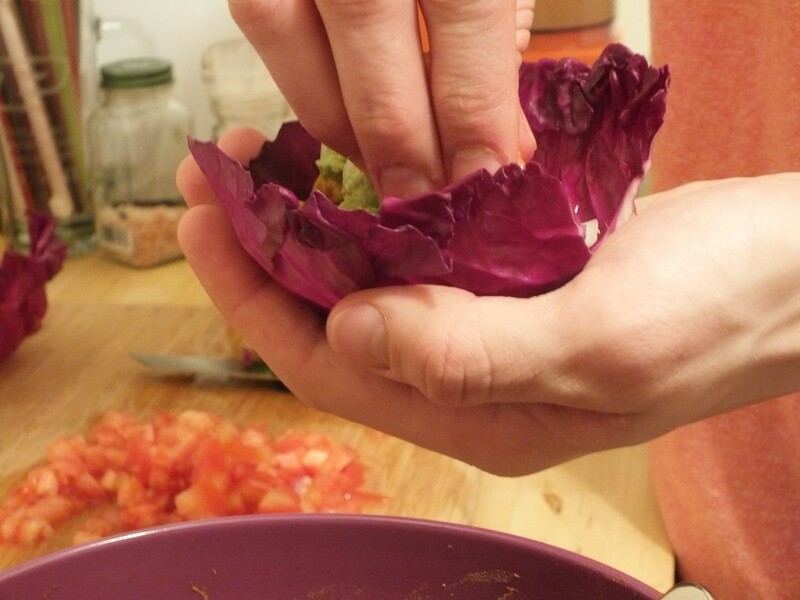 Chop off the bottom of the cabbage and carefully separate the leaves one at a time. Make sure they’re all rinsed thoroughly. For best results, line everything up assembly-line style in the order you’ll be using the ingredients. Now for the sauce. This became an instant favorite and will probably be included in lots of dishes around here in the future. 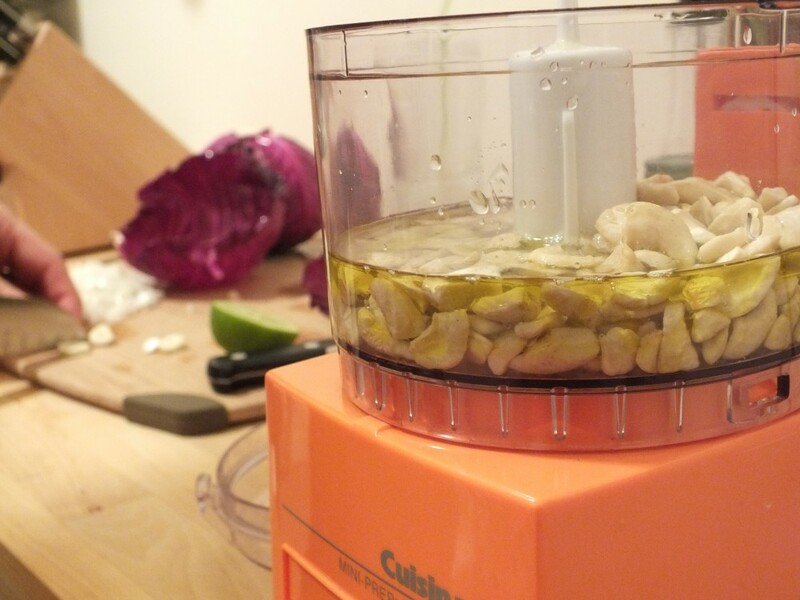 Toss cashews, olive oil, lime juice, garlic, and the remaining seasonings into a food processor or blender. 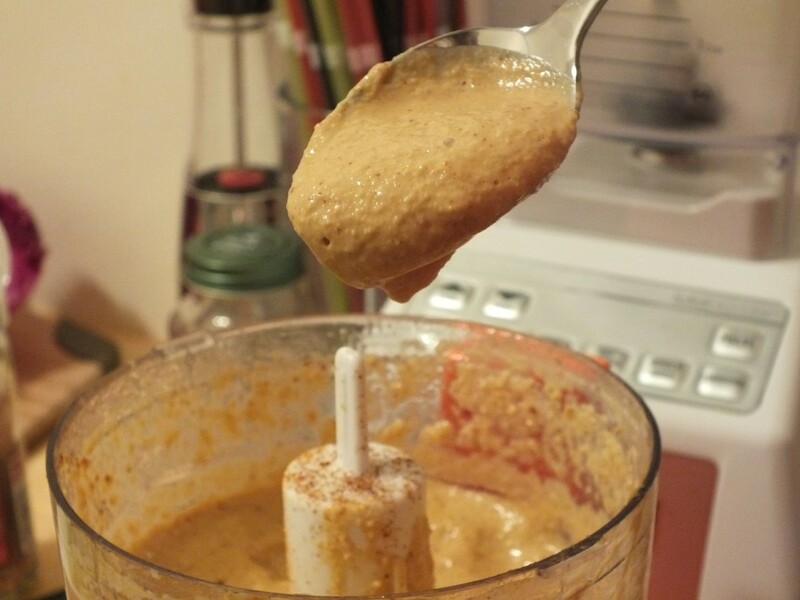 Blend until the sauce looks like so. Smooth and thick. Taste it to make sure it’s got enough spice for you. You can always add more! Chill in the fridge until the tacos are finished. Now that everything is ready to go, start constructing the tacos. Start with a spoonful of the bean and corn mixture. Add a generous helping of tomatoes and a scoop of mashed avocado. Sprinkle the chopped onions on top of the avocado layer. Top the taco off with a hefty serving of sauce. It should look like a big flower leaf filled with rainbow-colored confetti. These things are brimming with nutrition and flavor. 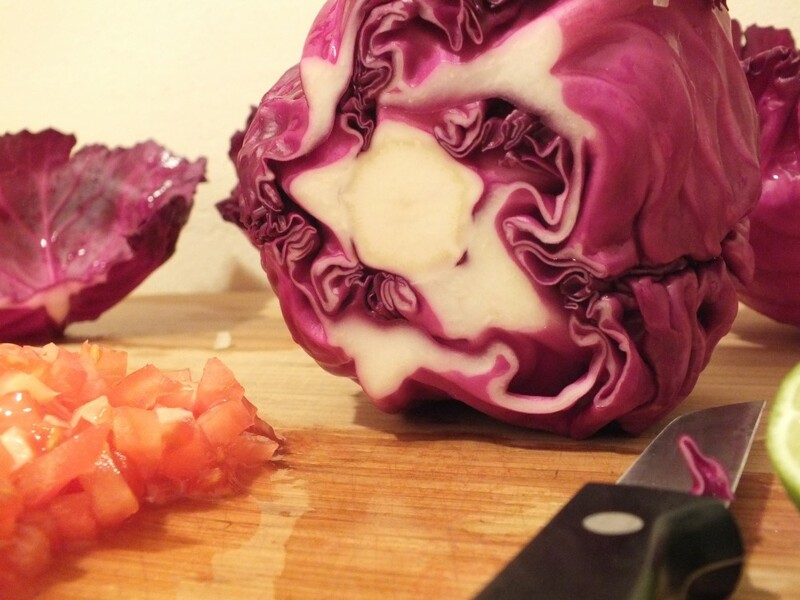 Red cabbage is loaded with vitamins A, C, D, and K and antioxidants. It has fuller flavor than its green counterpart and evidently, it makes for the perfect soft tortilla shell. 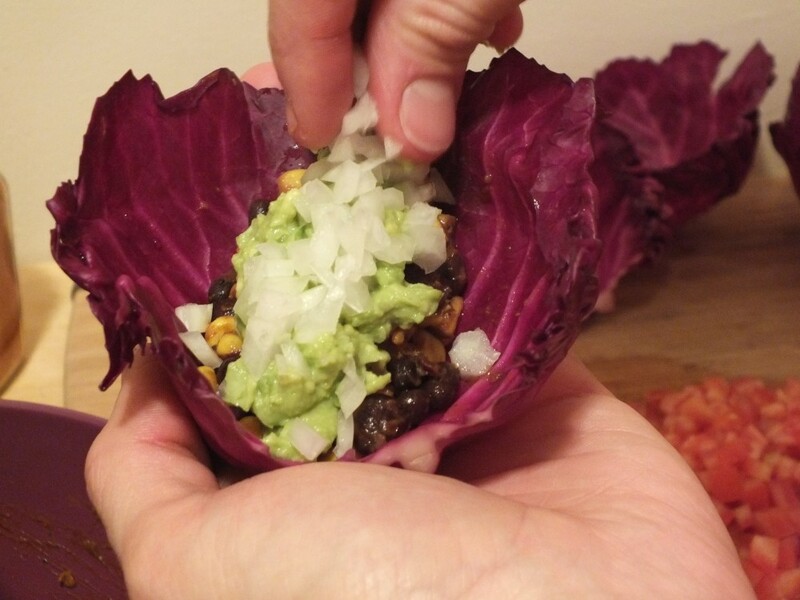 Using only the few ingredients what we had on hand, these mini tacos turned out to be a delicious medley of textures, flavors, and colors. If your fridge looks a little different at the moment, vary the ingredients and play around with the spices. Whatever you come up with is bound to be as delicious as these were!